An example - USA is Not America - The Americas is America! 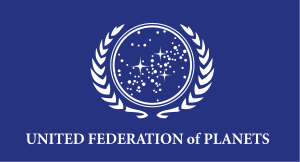 In Star Trek there is a fictional interplanetary federal republic called The United Federation of Planets and it is referred to as The Federation (do you see the analogy?). Under the wrong argument it should be called The Planets, which it is plain non-sense. Following this example it is quite easy to deduce that The United States of America should (if needed) be referred as The States but never as America. Please, note that this page in not about demonyms (gentilics) but about the way to call a country. You're using a TV show and movies for your example? That's ridiculous. Um, as you observed, Star Trek is fiction. No place in this argument. Also, if you want to take this as a real example, why couldn't it be called The Planets. I'm on board with that. Go, the Planets! Until there are more Federations in the name (cough United States of Brazil, United Mexican States cough). The existence of United Mexican States is why United States of America is a stupid name. The name "United States of Brazil" isn't used anymore. Like us on Facebook or Share with your friends. Let the world know that USA should not be called America! America is one whole continent.